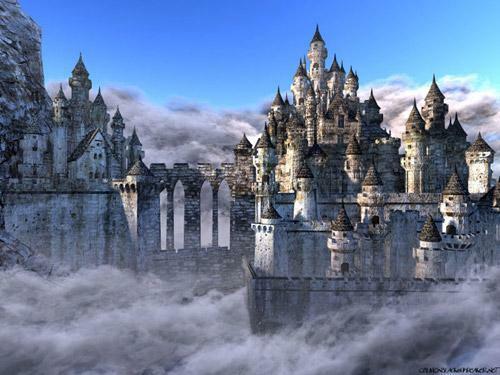 Welcome to The Castle, an original medieval fantasy novel. The novel is mostly set in the Kingdom of Targon where King Ultar of Targon has died of 'natural' causes - he was actually killed by his much younger wife, Sathiera. She kills her stepson, Prince Leon, who was to be King as well, this also to be believed by most as an 'accident'. The late King's daughter, Aurlora, manages to escape barely with her life. She finds refuge at the court of another King who was an old friend of her father. This has already begun to take a tole on each Kingdom as loyalties are split and the dangerous game of betrayal is made lively. Any story-line in any of the Kingdoms of Targon, Veria, Esdaw, Kisak, and the Isle of Wight - Isle of the Gods. Choose your fate. Rhonwen or Rhony is the Duchess of Evermeare. She is hailed from the Kingdom of Veria, a land allied with Targon. Being of high birth and the goddaughter to Veria's Queen Margaret who is also of Elvish birth, she is regarded as a prominent sponsor to the King. She is hasty to advise Veria's Royal Family in all things and where Targon is concerned in the politics...well that is yet to be discovered. If you have any questions, comments, suggestions, or concerns please contact a board member...namely Rhony who is mostly on and knows everything there is to know about the novel. The Castle is open for application. The overall status is set to closed so when you click on Add Your Character, you must give a brief one to two sentence explanation on your character's story-line. No writing sample is required. If a board member feels your story-line is right for us then the application will be accepted. If we feel it is not suitable then after the application is declined, we will send you a list of novels that we believe will be best suited for you. Once your application has been approved, you will be added to our salon, Isle of Wight. There you will have access to an archival thread, a novel co-post thread, as well as the private member-run stories. We the board members ask that you read the Novel Guidelines to get a feel on the proper behaviours accepted and those that aren't. We want to make this a fun and comfortable place to be. Anyone who strays from the guidelines will get one warning. The second time anyone strays will result in possible expulsion from the novel. The Castle is rated R for certain mature themes. This is due to the fact that it will contain certain language, an extreme amount of violence and the like. This, however, does not give leeway into certain explicit scenes. Anyone writing above our current rating, meaning NC-17 will gain one warning and the next time it happens, possible expulsion from the novel.